Is your car, pickup or SUV due for an oil change? 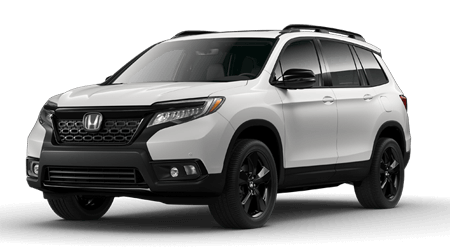 If you are looking for an auto service center to take your Honda or other make of vehicle for an oil change near Knoxville and Sevierville, Tennessee, drive down to the Honda Morristown service center. We utilize Honda-recommended oil and filters on all Honda cars, SUVs and pickups that we service to ensure your Honda is receiving top-quality replacement parts and fluid. If you are in the Morristown, TN area and it is time for that oil change again, bring your Honda or another make of vehicle down to the Honda Morristown service center; we will get your car in and out in no time -- and at a low price! Motor oil provides the necessary lubrication to keep your car's engine running smoothly; that is why oil changes are such important routine maintenance for any vehicle. Whether you drive a Honda CR-V, Civic, Accord, Pilot, another Honda or any other make and model, the Honda factory-trained and ASE Certified technicians here at Honda Morristown are equipped to deliver prompt oil change service! For a prompt and high-quality oil change at the Honda Morristown service center, no appointment is ever necessary. Local drivers can visit or Honda dealership near Knoxville at their convenience; or, for an oil change and other repairs or maintenance in one visit, schedule auto service online. Our helpful service advisors are also available by phone to assist you with setting up an appointment or with any questions you may have about our oil change service.